Established in 1997, the JUNO nominated Orchid Ensemble transforms its Chinese roots to create a unique repertoire that breaks down boundaries between musical genres. Taking ingredients from Chinese, Indian, Jewish, and Central Asian music, reconstructing within a contemporary framework, and adding spirited improvisation, the Orchid Ensemble takes its audience on unexpected journeys. 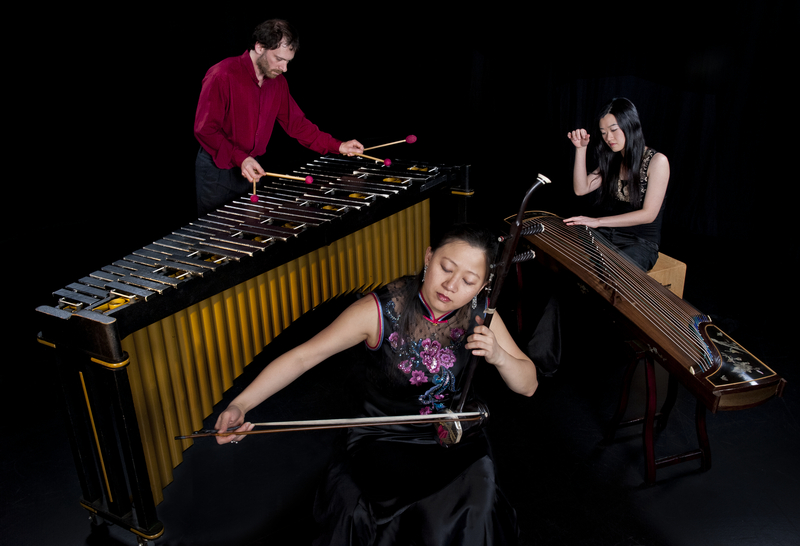 The Orchid Ensemble gives over seventy performances/presentations internationally every year, including music festivals, community concerts, school presentations, and university residencies. Past appearances included National Arts Centre (Ottawa), Chan Centre for the Performing Arts, Harbourfront Centre (Toronto), Centre Pierre Peladeau (Montreal), Kennedy Center for the Arts (DC), the Smithsonian Institution (DC), Detroit Institute of the Arts, Ottawa Chamber Music and Folk festivals, and Vancouver Jazz, Folk and Children’s festivals. The Orchid Ensemble actively commissions new Canadian compositions. Its unique instrumentation provides composers a new vehicle for expression. At the same time, it produces annual concerts to present innovative cross-cultural programs, working with such collaborators as Uzume Taiko, Iranian santur player Alan Kushan, African percussionist ManDido Morris, Jewish woodwind player Mike Braverman, Indonesian multi-instrumentalist/dancer/composer Sutrisno Hartana, and numerous of choirs. Since 2005, the ensemble has been producing and performing larger-scale inter-disciplinary projects, working with media artists Kenneth Newby and Aleksandra Dulic, choreographers/dancers Jessica Jone and Chengxin Wei, Chinese calligrapher Yukman Lai, Dervish dancer Raqib Brian Burke, and Mozaico Flamenco Dance Theatre. The themes of these productions ranged from the cultural oasis of the Silk Road, the Diaspora of Chinese Canadians, the myths of ghosts and curiosity of the after-life, the philosophy of yin and yang, the historic Jewish settlements in China over the past one thousand years, and live animation of Chinese brush paintings with contemporary music. As BC’s spokesperson for the UNESCO ASPnet in Canada, the Orchid Ensemble fosters the understanding and interest in non-western music for the next generation of audiences, promoters, administrators and musicians. The ensemble combines distinct musical traditions in a contemporary framework to inspire and encourage students in their future lives and careers. The Orchid Ensemble has released three CDs: “Life Death Tears Dream”, “Road to Kashgar”, and “Heartland”, winning the 12th Independent Music Awards and multiple nominations by JUNO, Western Canadian Music Awards, and Canadian Folk Music Awards.